I never choose a product just because the manufacturer gives it to me for free. Instead, I choose which products I want to use, and then work with the manufacturers on any sponsorship deal. So everything I use is my first choice! 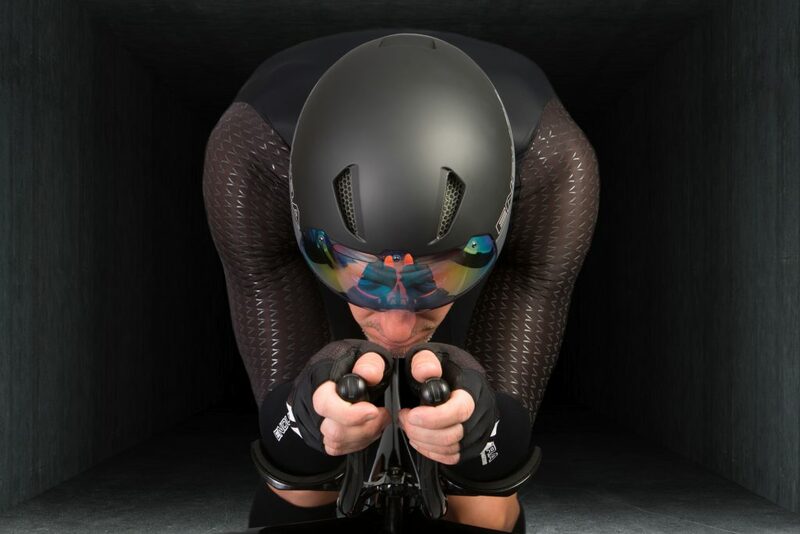 Endura is the most advanced aerodynamic clothing on the market. I use the Drag2Zero tri suit for triathlons and also Ultraman day 1 (where you swim/bike). I use the encapsulator suit for time trials and Ultraman day 2 (which is bike only). It’s a work of art and truly remarkable piece of kit! 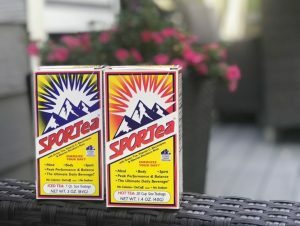 I discovered Sportea by accident, at the back of a dusty shelf in King Soopers. I was blown away by how great this product is. Not technically “gear” but the Southwest Credit Card has saved me so much on travel costs. With fast earning of miles on all purchases (bike stuff adds up FAST! ), I’ve earned several free flights a year. Plus, with the annual companion ticket we’ve saved one person’s airfare on every single flight. That’s made traveling with the family a lot more affordable! This Marpac Rohm white noise machine is a critical part of my race travel gear. It cuts out external noise and really helps me get better sleep, even in a not-so-quiet hotel room. Hamilton Beach Bullet Blender with Travel Lid is what I take to races in order to blend my nutrition and shakes. So cheap it’s a no brainer, but mine have lasted several years. 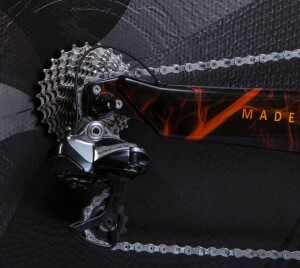 My DiMOND bike, hand made in the USA, is my choice of race weapon. 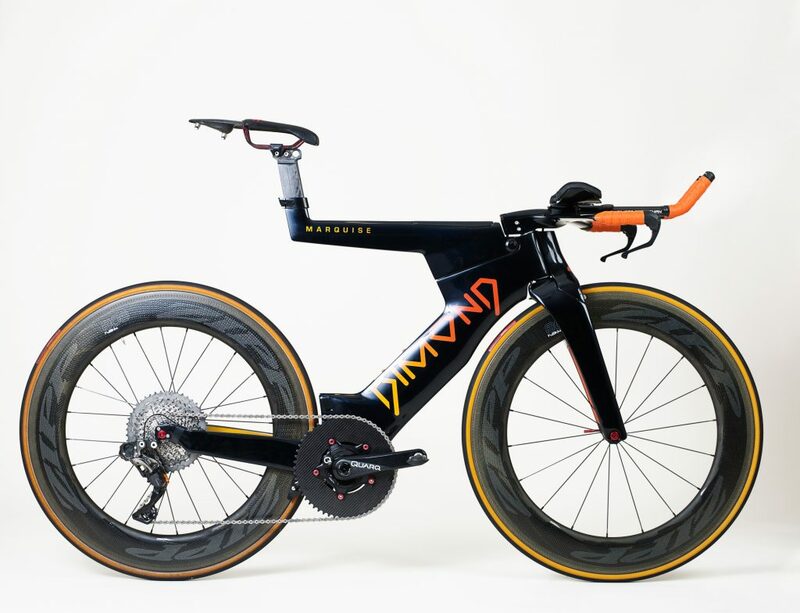 Fast, aero and beautiful. I use a Dash saddle, Zipp wheels, usually with Continental Force/Attack tires with Vittoria Latex tubes, Speedplay aero pedals, and the custom 1X 56t carbon fibre chainring made by Fibre Lyte. Tires in the image are Specialized Turbo Cotton. My Dimond is equipped with an Ice Friction Chain – one of the cheapest ways to buy some extra speed. The guys at Ice Friction have been super supportive of me, and have provided my chains for every race I’ve done since 2015. Strokemakers Paddles – great for building strength in the pool. Size blue or for strong people yellow. Finis Agility Hand Paddles – my paddle of choice for training – they fall off if your stroke is poor, plus they are not huge. Other paddles give me shoulder issues, these are awesome and I use them every workout. Roka wetsuits – the torso area of the Roka suits are very flexible, resulting in better range of motion than other suits. Athletes I work with get a nice discount on Roka suits.